During his time in college, Śrī Śrīmad Bhakti Hṛdaya Vana Gosvāmī Mahārāja (then Śrī Narendra Bandopādhyāya) was an exceptionally bright college student, well liked by both teachers and students. He displayed a natural aptitude for drama and theatre, and because he had studied in an English medium school, he was fluent in English. Śrī Narendra was his father’s tenth and youngest son and was also very dear to him. After he finished his collegiate studies, his father fell seriously ill, and due to this, some of the family moved from their village and rented an apartment in Gāṇdāriyā Pallī, Ḍhākā, where his father had been admitted to the hospital and was undergoing treatment. Soon after their move, however, Śrī Narendra became aloof from virtually all social activities. He suddenly found himself unconcerned for the affection of his family and friends. Instead, he nourished his increasingly growing compulsion to find a bona fide guru, perform kṛṣṇa-bhajana, and thereby make his life worthwhile. Śrī Narendra somehow came in contact with the devotees of Śrī Madhva Gauḍīya Maṭha in Ḍhākā. There, Śrī Narendra heard about Śrīla Prabhupāda’s extraordinary glories, and before long, he decided to set out for Kolkata to have a glimpse of his holy feet on the pretext of picking up medicine for his father. At Śrī Gauḍīya Maṭha, Kolkata, Śrī Narendra Bandopādhyāya obtained the audience and inexhaustible affection of Śrīla Prabhupāda, whose powerful hari-kathā inspired him to begin a new life. He decided not to return to Ḍhākāat all, and instead arranged for someone to deliver his father’s medicine while he remained at the maṭha in Kolkata. After further hearing Śrīla Prabhupāda’s hari-kathā for some days, Śrī Narendra Bandopādhyāya requested Śrīla Prabhupāda for harināma and mantra-dīkṣā. According to the verdict of the scriptures, both guru and disciplemust examine one another before establishing a formal relationship based on initiation. Therefore, before giving his sanction, Śrīla Prabhupāda examined Śrī Narendra by asking him to compose an article, in his own words, conveying some of what he had assimilated. Śrī Narendra carefully wrote an essay titled Ātmīya Ke (Who is One’s Own). Although the word ātmīya is generally interpreted as relating to either the gross or subtle body, Śrī Narendra explained it in relation to the soul (ātmā). That Śrī Narendra Bandopādhyāya deeply understood such a grave subject matter in only a short time indicates he must have associated with sādhus either earlier in his current life or in previous lives, for it would have been otherwise impossible. Śrīla Prabhupāda was so pleased by Śrī Narendra Bandopādhyāya’s essay that he had it published in his weekly Gauḍīya magazine (Year Two, Issue Forty-eight, 26 July, 1924). In this way, Śrī Narendra Bandopādhyāya passed his test. Shortly after, he received pāñcarātriki-dīkṣā from Śrīla Prabhupāda and became known as Śrī Nanda-sūnu Brahmacārī. Once he received dīkṣā initiation from his śrī gurupāda-padma, Śrī Nanda-sūnu Brahmacārī constantly strived, at every moment, to adhere to the concept of viśrambheṇa guroḥ sevā, performing intimate service to śrī guru without hesitation or reservation. Śrī Nanda-sūnu Brahmacārī was never seen diverting his attention from his efforts to serve Śrī Hari, guru and Vaiṣṇavas to indulgence in sense gratification, for even a second. 29 January, 1925, the day of Śrī Viṣṇu-priyā devī’s appearance, a pilgrimage tour of Śrī Gauḍa-maṇḍala commenced under the guidance of Śrīla Prabhupāda. During the expedition, Śrīpāda Nanda-sūnu Brahmacārī spoke in many places as ordered by Śrīla Prabhupāda and executed countless other services for śrī guru and Vaiṣṇavas, thereby becoming the recipient of his śrīgurupāda-padma’s profuse love and affection. That year, on 4 September,1925, he acceptedtridaṇḍa-sannyāsa at the lotus feet of Śrīla Prabhupāda and became known as tridaṇḍi-svāmī Śrīmad Bhakti Hṛdaya Vana Gosvāmī Mahārāja. One of Śrīla Prabhupāda’s cherished pursuits was to impart the message of pure devotion through the medium of his spiritual Sat-śikṣā Pradarśinī exhibitions. Śrīla Vana Gosvāmī Mahārāja was significantly involved in designing and decorating the exhibits in Śrīdhāma Māyāpura, Kolkata, Ḍhākā, Paṭnā, Kāśī, Prayāga and Kurukṣetra. He was particularly involved in designing the dioramas of Śrī Govardhana and the sakhīs’ groves at Śrī Rādhā-kuṇḍa for an exhibition in Śrīdhāma Māyāpura. He who has stolen away my youth is now my husband. These are the same moonlit nights in the month of Caitra, when we first met in our youth. The same breezes from the kadamba forest are blowing the same light, sweet fragrance from the blossoming mālatī flowers. In our intimate relationship, I am also the same lover. Nonetheless, myheart is longing for the amorous, love-laden play of our first meeting at the foot of the vetasītree on the bank of the river Revā. My dear friend, in this Kurukṣetra is that very same Śrī Kṛṣṇa who had secretly engaged in amorous pastimes with Me in Vṛndāvana. I am also the same Rādhā, and the happiness of our meeting is still the same. But nonetheless, My heart is yearning for that very forest of Vṛndāvana, situated on the banks of the Yamunā, where Śrī Kṛṣṇa used to continuously engage in pastimes and play the fifth note of His charming muralī flute. Next to each diorama, Śrīla Vana Gosvāmī Mahārāja placed a brief description and also posted a devotee to further explain its depicted pastime. Śrīla Prabhupāda was highly pleased by this arrangement. All those who attended the exhibition were endlessly grateful to have learned the real purpose of visiting Kurukṣetra during a solar eclipse. It is exceedingly difficult for a disciple to understand the intentions of śrīguru, who, being a sincere follower of śrauta-vāṇī—the teachings of theVedas, which are often conveyed indirectly—relishes parokṣa-vāda, or indirect speech. Only his antaraṅga disciples are capable of understanding the true intended meanings of his words. The term antaraṅga, or ‘internal,’ refers to one who has proven himself to possess such firm faith that śrī gurudeva relies on him completely and, without hesitation, allows him to enter into the innermost chamber of his heart. Because Śrīla Vana Gosvāmī Mahārāja was an intimate antaraṅga associate of Śrīla Prabhupāda, he understood the true meaning of his gurudeva’s mysterious instruction and was thus able to serve him in a way that fulfilled his heart’s desire. Śrīla Vana Gosvāmī Mahārāja had a natural, God-gifted talent for public speaking, which flourished even more by the mercy of the venerable Śrīla Prabhupāda. He could speak without pause for hours on end in Bengali, Hindi, and English. Śrīla Prabhupāda awarded him with the title ‘Vāgmi-pravara,’ which means ‘the greatest of orators.’ Through his mastery of language and his deeply devotional lectures, he connected many people with Śrīla Prabhupāda. While delivering hari-kathā, his eyes would move continuously like a gramophone. He often spoke for hours on end, yet never suffered from issues with his throat, medical or otherwise, up to the very end of his life. Carrying on his head the gracious blessings and orders of Śrīla Prabhupāda, Śrīla Vana Gosvāmī Mahārāja constantly preached Śrī Śrī Guru-Gaurāṅga’s divine message of pure devotion across India—from the Bay of Bengal to the Indian Ocean to the Himalayas—with dauntless enthusiasm and total fearlessness. By Śrīla Prabhupāda’s boundless mercy, Śrīla Mahārāja assisted in establishing Gauḍīya Maṭha branches in various places in India, including Madras, Kabhūra (where Śrīman Mahāprabhu met Śrī Rāya Rāmānanda), Kāśī, Naimiṣāraṇya and Kurukṣetra, thereby rendering an invaluable service in propagating the teachings of Śrī Caitanya-deva. Śrīla Prabhupāda was so proud of his worthy disciples’ accomplishments that he resolved to send them across the oceans to the West. Thus, he determined to send Śrīla Vana Mahārāja and my Guru Mahārāja (then Śrī Hayagrīva Brahmacārī), for in his opinion, their personal conduct and ability to deliver the message of Śrī Caitanya Mahāprabhu as presented by Śrīla Bhaktivinoda Ṭhākura mirrored that of his own. However, Guru Mahārāja was prevented from going to the West, not only because he was needed in India for his expertise in preaching and his ability to maintain Śrīla Prabhupāda’s maṭhas through collecting sizable donations, but also because some of ŚrīlaPrabhupāda’s disciples felt his effulgent, youthful beauty made him a target for the affection of Western women, who had no understanding or appreciation of the celibacy of Indian sādhus. Thus, Śrī Śrīmad Bhakti Pradīpa Tīrtha Gosvāmī Mahārāja was sent in his stead. Appreciating his view, Śrīla Prabhupāda first sent him to England, and later to Germany. In England, Śrīla Vana Gosvāmī Mahārāja preached the message of Śrīman Mahāprabhu at the universities of Oxford, Cambridge and Exeter, as well as at various establishments in London. At Oxford, he was invited to speak for just fifteen minutes, but in that brief period, he so impressed his audience that he was invited to Buckingham Palace to address the royal assembly there. With the grace and permission of Śrīla Prabhupāda, Śrīla Vana Gosvāmī Mahārāja established the London Gauḍīya Mission Society, and the Secretary of State for India, Lord Zetland, attended the inaugural ceremony as chairman. A number of affluent members of London high society, being deeply interested in the notion of a true religion, initiated correspondence with Śrīla Prabhupāda and posed various questions to him. The London Gauḍīya Mission Society’s main topics of discussion were Śrīla Prabhupāda’s answers, which arrived weekly in London by airmail. When Śrīla Vana Gosvāmī Mahārāja wanted to preach in Germany, he was advised against speaking in English due to political tensions. He was given the option to speak either in his native language through a German translator, or directly in German. Thus, Śrīla Mahārāja opted to learn German, which he accomplished in only six months, after which he composed two books in German. As in London, his preaching in Germany met with great success. He delivered addresses at universities in Königsberg, Leipzig, Dresden, Berlin and Munich, and was even invited to speak in cities in other countries, including Prague, Vienna and Paris, where he was given special regard by His Majesty the former Kaiser of Germany. Upon Śrīla Vana Gosvāmī Mahārāja’s return to India in December of 1936, he was honored and celebrated by many distinguished Indian intellectuals of the time. He brought with him two German devotees who were eager to take shelter of Śrīla Prabhupāda’s lotus feet. One of these individuals later became known as Śrīpāda Sadānanda Svāmī. Thus, it was due to Śrīla Vana Gosvāmī Mahārāja’s preaching efforts that Śrīla Prabhupāda commenced the initiation of Westerners into Gauḍīya Vaiṣṇava dharma. Śrīla Vana Gosvāmī Mahārāja was the first of Śrīla Prabhupāda’s disciples —and possibly the first person in the line of Śrī Caitanya Mahāprabhu—to preach in universities and colleges. He considered that if young people were to accept the message of Śrī Caitanya Mahāprabhu, then others would automatically accept it. This technique was later adopted by many Vaiṣṇava ācāryas. He was invited several times by various universities in the West to expound the specialty of śrī bhāgavata-dharma, the religion of worshipping the Supreme Lord, as described in the Vedic canon. The prominent feature of his preaching was that he established the unparalleled specialty of India’s Vedic philosophy, specifically what was preached and practiced by Śrīman Mahāprabhu. Śrīla Vana Gosvāmī Mahārāja travelled to America twice. First, in 1939, where he preached extensively across the East Coast, delivering lectures on Śrī Gaura’s message in the cities of New York, Boston, Stockbridge, Washington D.C. and Philadelphia, and eventually made his way to Chicago in the Midwest. After this, he went to Japan and returned to India via Hong Kong. In 1960, he went to West Germany, Austria, Belgium, Holland, Denmark, Sweden and various other places. Later, between 1974 and 1975, he again visited America to propound the glories of Śrīman Mahāprabhu’s philosophy. His translation of Śrī Bhakti-rasāmṛta-sindhu was accepted as a thesis by universities in America and Sweden, where he was awarded honorary doctorates in literature and divinity, respectively. To train the youth of Vraja about Gauḍīya Vaiṣṇava philosophy, specifically Śrī Caitanya-deva’s acintya-bhedābheda-tattva—the inconceivable principle of simultaneous oneness and difference between the Supreme Lord and all that exists—he went to great lengths to establish the Institute of Oriental Philosophy in Śrīdhāma Vṛndāvana, as well as a primary school on the banks of Śrī Pāvana-sarovara in Śrī Nandagrāma. Originally, he gave the Institute of Oriental Philosophy the name ‘Vaiṣṇava Theological University,’ but for various reasons, he was compelled to change it. After Śrīla Prabhupāda’s disappearance, Śrīla Vana Gosvāmī Mahārāja lived somewhat independently and focused on writing several books in English, Bengali and Hindi, which included Vaikuṇṭha-pathe (On the Path tothe Spiritual Realm), My First Year in England, Viraha-vedanā (The Pain of Separation), Geeta as a Chaitanyaite Reads It, Shree Chaitanya, The Search, My Lectures in England, and his translation of Śrī Bhakti-rasāmṛta-sindhu. Healso published the quarterly English magazine Indian Philosophy and Culture. During most of 1938, he lived in Ayodhya, studying the Vedas under the guidance of a scholar of the Yajur-veda. There, he wrote a book in Bengali called Vedera-paricaya (An Introduction to the Vedas). Śrīla Mahārāja replied, “Must I simply lay in bed and count the beams on the ceiling? 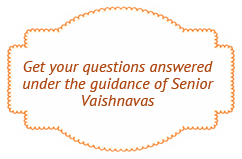 Am I not to speak with the Vaiṣṇavas? We are sarasvatī-putra, the sons of Śrīla Bhaktisiddhānta Sarasvatī Ṭhakura. As long as we are speaking hari-kathā, we feel healthy. It is when we are cheated of that opportunity that wetruly feel ill. So, do you want me to be healthy or sick? When Guru Maharaja disappeared from the world, Śrīla Vana Gosvāmī Mahārāja gave me many instructions on how to perform the samādhi ceremony. He told me that the size of the samādhi should be one-and-one-quarter the size of the body of the recipient of samādhi; that prior to covering the body with earth and salt, one must cover the body, including the head and face, with a new saffron-colored cloth, so that the earth does not directly touch the body; and that the location of the samādhi should be an adequate distance from the road, so that it need not be moved if by chance the municipality tries to acquire part of the maṭha’s property in order to widen the road. Hearing his decision to stay in our maṭha, I quickly constructed a private latrine for him in only one night, using coconut leaves and a heavy rainproof cloth for the roof. Although the facilities in our maṭha were quite meager, Śrīla Mahārāja happily tolerated everything, thus demonstrating the depth of his guru-niṣṭhā. Śrīla Mahārāja’s desire is now being fulfilled; annual festivals celebrating Śrīla Prabhupāda’s appearance and disappearance days are held at these locations in Śrī Purī-dhāma and Śrīdhāma Māyāpura, respectively. Before leaving this world, Śrīla Vana Gosvāmī Mahārāja constructed his own samādhi, so as to not trouble anyone or elicit any sort of service from his godbrothers or disciples. Additionally, he had a strong desire to remain close to the deities he established. He therefore feared that his disciples or godbrothers may choose to place him in some other location. For this reason, he arranged everything himself, thus exhibiting the extent of his dedication to and love for his deities. 1 Spiritual fortune that leads one toward the path of bhakti.